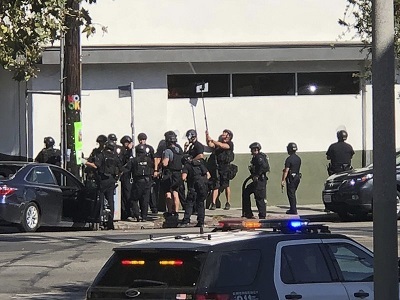 Los Angeles: A woman was shot and killed when a gunman ran into a busy Los Angeles supermarket where he held dozens of people hostage for about three hours Saturday before handcuffing himself and surrendering to police. No hostages were seriously hurt. Police Chief Michel Moore said the suspect made a “series of demands” during the standoff but crisis negotiators believed they could convince him to surrender peacefully.